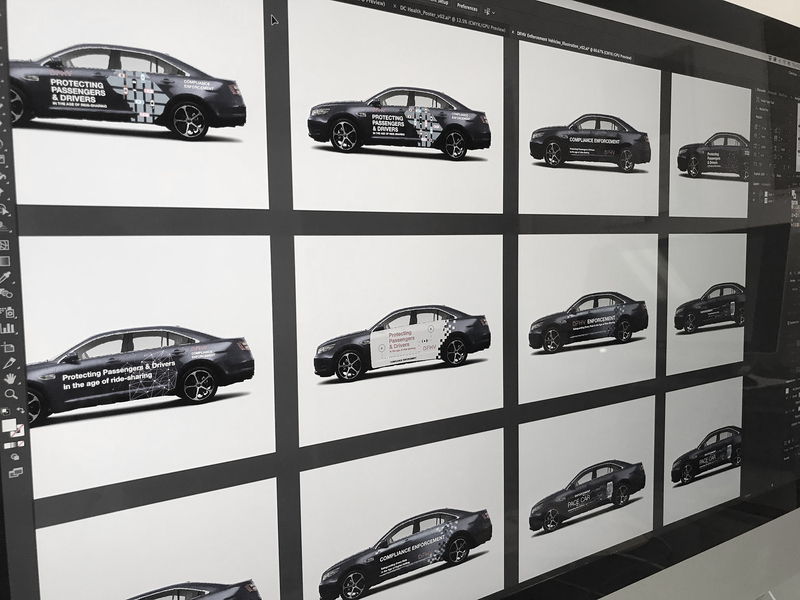 Seaberry graphic designers created and tested multiple designs for DFHV vehicle graphics before the final was selected. Seaberry designer Cherisse Lu created the new graphics for the DFHV’s existing fleet of enforcement vehicles. As DFHV continues to evolve, it is re-defining relationships—changing the nature of interactions by spreading its brand message across customer touchpoints. 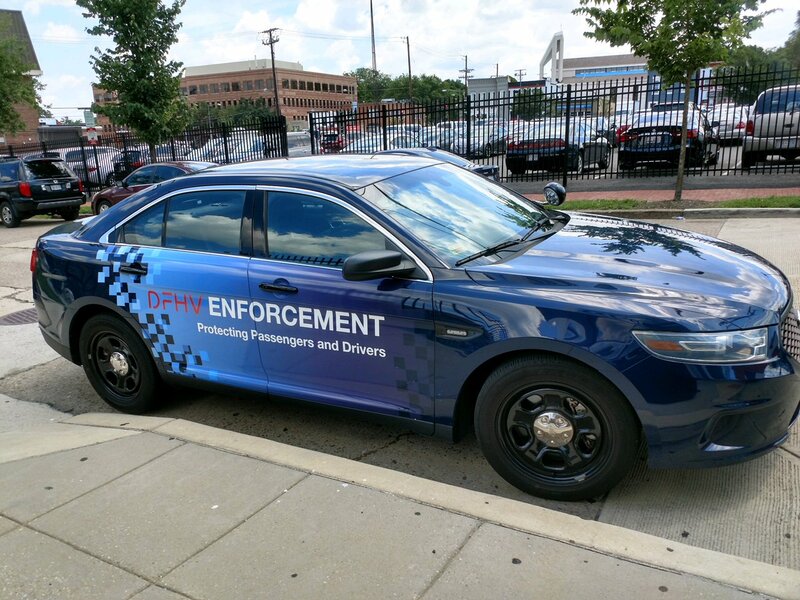 The DFHV enforcement vehicles are a major touchpoint for drivers and passengers and an an effective channel for messaging. Seaberry worked with passengers, the DFHV management and enforcement teams to better understand the connections between them and how the cars could be leveraged in supporting those relationships. The new graphics clearly identify the agency’s enforcement role, promote the brand and articulate the officers’ mission to provide for a safe and comfortable transport environment for everyone. The pattern in the new vehicle graphic gives a nod to the electronic devices that now dominate hailing in the ride-sharing industry.